Here are some of the coolest places to wine (and dine!) in London right now. The world of wine has undergone something of an identity change—with tastings taking place at street food stalls, unconventional venues like rooftops and car parks and even at festivals, it’s official—wine has gotten seriously cool. As a wine expert and writer, I’ve spent the best part of the last decade working on wine lists across the city, doing pop-ups, tastings and teaching, and pouring wines in some of London’s coolest spots—in other words—totally immersed in the wine scene, and it’s never been so exciting! It makes sense that with this new-found position as the cool-kid on the block, there’s been a wave of exciting wine bars popping up all over the capital, and these new hangouts are a far cry from the traditional wines bars we used to know - no dark caverns with snooty waiters in waistcoats, these joints are light and airy, chic spaces run by hip, young, enthusiastic bar owners and sommeliers who make wine fun and accessible. Expect carefully curated selections, often-changing lists, and handwritten specials of great value, interesting bottles, as well as hidden gems from lesser-known regions, and a move towards organic and low-intervention juice. Fun and boozy, the new-wave wine bars are all about relaxed spaces where you can learn a thing or two if you’re in the mood, or you can simply kick back and have a good gossip with your girl-gang. This is my ultimate pick of the very best wine bars in London. But if it's a really sunny day, check out the InStyle round-up of the best rooftop bars. 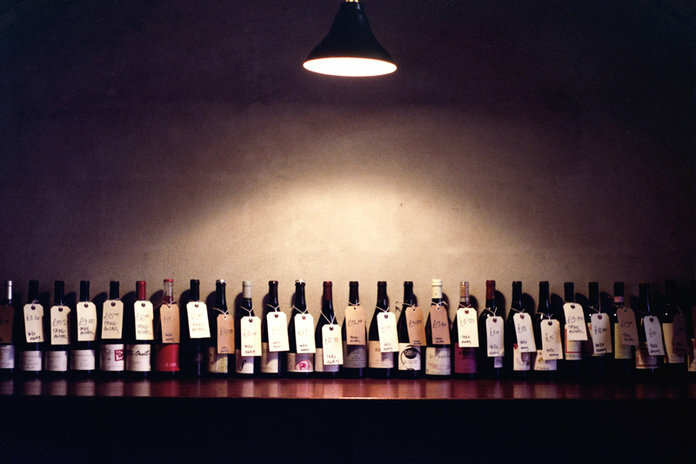 Noble Rot started out as a quarterly wine mag, the brainchild of wine buyer Mark Andrew and music mogul Dan Keeling, that caught the attention of the younger, urban audience with its sassy connections between wine and music. Now a fully fledged wine bar in Fitzrovia, the music and wine links are still visible and records spin on the turntable that sits pride of place on the bar, amongst the collection of bottles. A cosy mishmash of booths, banquettes and high tables in the front works with the restaurant in the back, and original artwork including covers of the eponymous magazine line the walls. 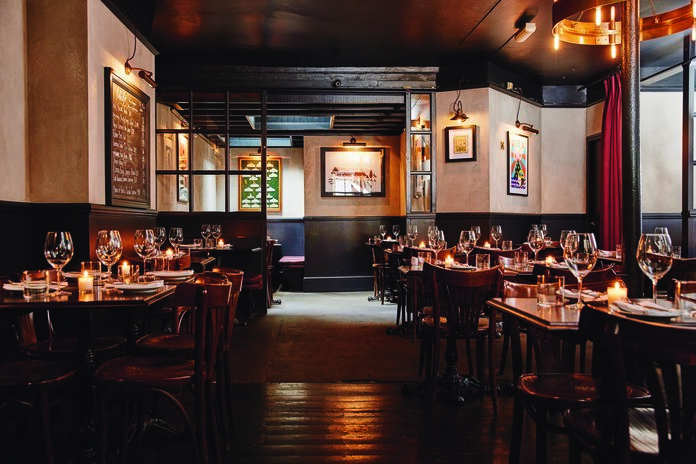 Candles and flowers make for a moody and seductive setting, tone set by the brilliant soundtrack, and the award-winning wine list is one of the best in town—with a huge range of wines available by the glass, and tasting samples starting from two quid. Grab a booth and taste your way around France, Portugal, California, Greece, Austria and Italy—the pages are filled with light-hearted, informative and humorous explanations of the regions, so if you're a novice you can have loads of fun tasting samples in a cosy environment, and even the experts will appreciate the descriptions. 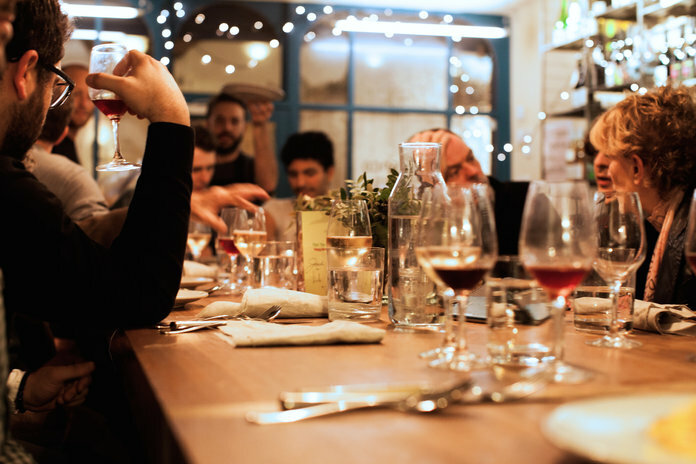 If you’re not in the mood for tasting, house wine starts at a super reasonable £20 per bottle, and food is all designed around the wine, so expect flavoursome dishes—roast octopus, chorizo and aioli is worth travelling for. 8 Hoxton Square is one of my favourite hangouts in London - wine-related or otherwise. A cute space with wooden tables and school-style chairs, the space opens out onto leafy Hoxton Square and there’s a proper neighbourhood feel, despite being a stone’s throw from Old Street. Exposed brick interiors are softened with fresh flowers stacked between the many bottles that adorn the walls, trophies of previous good times. 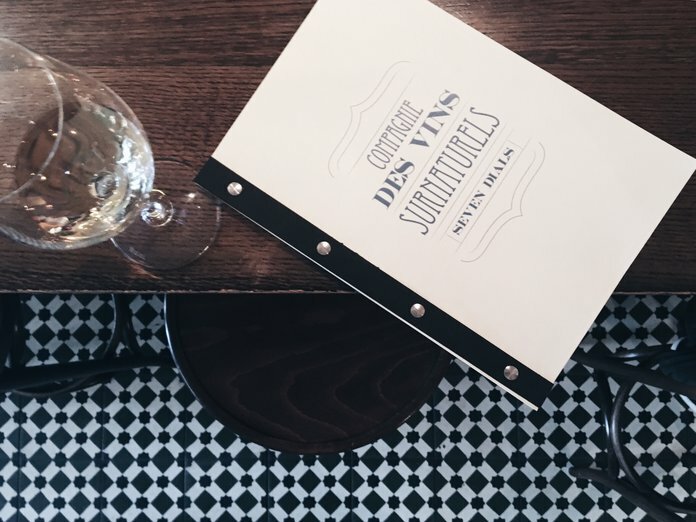 Part-owned and operated by wine industry chap Luke Wilson, the list features a rotation of styles available by carafe and a good lot of By The Glass options as well—great for trying lesser known finds like Hungarian Pinot Gris as well as more familiar varieties. Come for drinks only or get stuck in to the food - dishes like scallops, romesco, and cumin salt are impossible to resist. But the highlight is the ‘little black book’—the famed, handwritten journal collection of special bottles—not necessarily expensive, just limited-edition gems that Luke has handpicked from his travels. When they're gone, they're gone, and a line is drawn that entry so you can drool over what you’ve missed, before choosing something even better to make up for it. It’s easy to see why this place is an industry favourite. One of the most laid-back wine haunts there is, P. Franco is a bottle shop and wine bar all-in-one with a communal table that takes centre stage, giving the place a kind of fun house party vibe. In the kitchen, a regularly changing roulette of chefs cook up small plates of seasonal food, as is de-rigeur in town these days—but as the saying goes, if it ain’t broke, don’t fix it. There are regular tastings and events, on certain occasions you can find a few super special bottles open—this is the place to go to find curiosities such as orange wine—that’s white wine that’s been fermented on the grape skins, giving it an amber glow—and natural wines—those made without fining, filtration, and very little intervention in the winemaking process, producing wines of unpredictable, but intriguing character. A great place if you’ve dipped your toe in the spring of natural wines and want to taste more, but a relaxed and comfortable place for newbies too—in fact the less you know about the conventional wine the better, as an open mind is the best way to approach these natural beauties. The easy-going team keep things merry, and when you come across a wine you love you can pluck the same one off the shelves and bring it home for later. A game-changer on the London wine landscape, Sager and Wilde turned heads when it pitched up in a nondescript stretch of east London’s Hackney Road—at the time an area bereft of culinary excitement. With a 500-strong list covering beautiful old vintages of seriously top wines from the legends of Burgundy, Bordeaux, California and Piemonte as well as unusual finds from the likes of Georgia and beyond, it was a bold move—and one that worked so well it changed the face of Hackney Road for good. The luxurious wines are offered in S+W’s Parisian dive-bar settings, with intimate tables, a long bar top, dripping candle wax and top tunes all adding to the mix. There are plenty of accessible wines by the bottle and glass too, and when you get peckish you can mop it all up with cheese and nduja toasties. Need I say more? Small, noisy, and so very Soho, I’ve loved this place since its opening day and have spent many an evening gossiping at the bar. With great music blaring from the record player in the corner, and guests sat shoulder to shoulder, it’s the kind of place that just spurs great conversation and fuels good times. 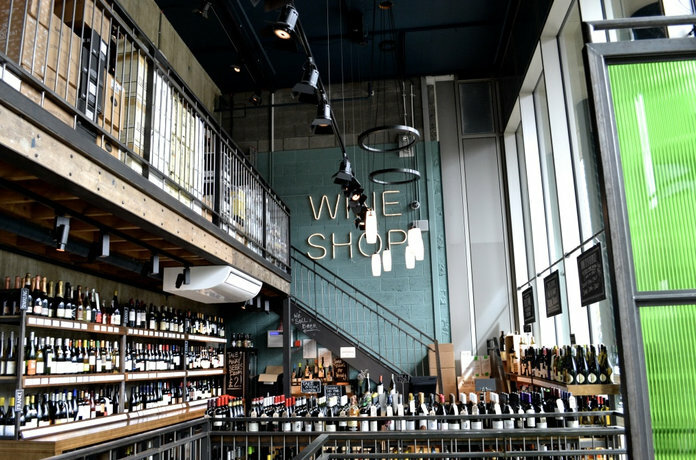 You can’t escape the passion for wine here, which practically drips from the walls—the small space is lovingly crammed to the brim with bottles—bottles line the shelves around the ceiling, bottles are crammed around the bar. Various lists are scribbled on tiles and on chalk boards hanging by the bar, there’s a glass list scrawled on one wall, a sparkling list on another and the chalk boards detail a wine selection ranging light, pale & aromatic, medium body & spice, skin contact orange, bag-in-box, even skin contact bag in box—it's bonkers, but the team are brimming with enthusiasm and will safely point you in the right direction with the exact suggestions to ease you in gently, should you be that way inclined. For the more adventurous, there’s ‘In Duck We Trust’—a surprise tasting chosen for you by the team. Order a round of small plates, dive in and have fun. Tucked away in Covent Garden’s Seven Dials is the hidden courtyard of Neal’s Yard—an explosion of colour, brightly painted buildings, coloured shutters, greenery, and home to Compagnie des Vins Surnaturels, a French-leaning bar à vin with a focus on artisan producers. Here, all the wines are sourced from winemakers who grow their own grapes and make their wines by hand in small quantities—no commercially-produced juice here. A big portion of the wines come from the Rhône Valley, where you find flavoursome, textured whites and bold, mouth-watering reds, with a smattering of bottles from the rest of France and beyond. A bit of fun comes via the mystery wine—a secret wine poured ‘blind’ by the team, with a bottle awarded to the taster who can correctly guess it from the list. 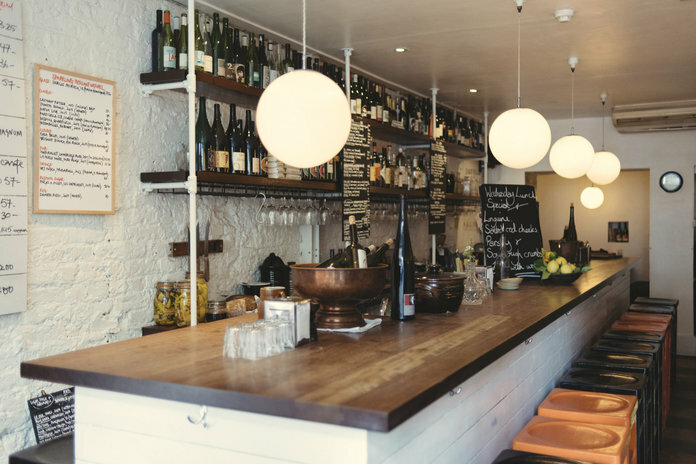 The bar is always bustling, filled with chatter of ladies who lunch on the house made dishes, moreish cheese selection from Neil's Yard Dairy and Androuet—in this little refuge from the chaos of Central London. Can't be bothered to go out? Get top-notch wine delivered to your flat with this new wine delivery app. The lovely Melanie knows each of her producers from her native New Zealand and spends time out there every year tasting and sourcing all wines personally (it’s a tough life for some...). The result is that Mel and her team know the wines inside out and have some of the friendliest, bubbliest service in London. The shop-and-wine-bar-combo inside a shipping container in Pop! Brixton is packed full of tasty and approachable wines, needless to say all come from New Zealand, and you’ll be amazed at the diversity of styles, from vibrant Sauvignon Blancs to juicy Pinot Gris, elegant Pinot Noirs and sophisticated Syrahs that are just made for summer barbeques. Before there was ‘new-wave’, there was Vinoteca, a London original and one of the first to offer top wines in relaxed and informal surroundings. Vinoteca is buzzy, welcoming and has a familiar-feeling charm, a refreshingly approachable list full of deliciously drinkable wines paired with hearty, wholesome food. They also have a tasty brunch menu, and that smoked salmon English muffin is just begging to be paired with fruity, slightly sparkling pink Moscato - at 8% it is a breakfast wine after all. Residing along an inconspicuous corner of south east London, the railway arches of Maltby Street house all kinds of local treasure, from antique shops, coffee shops and foodie hotspots, some a jumble of all three. 40 Maltby Street sits at the mouth of Ropewalk, which bursts to life at weekends with a vibrant market, in it’s own arch space. The no frills bar won our hearts with the continuously changing menu and evolving selection of wines from smaller producers, in particular those who favour chemical-free grape growing and wine-making practice, the idea being that the raw quality of the grape can be tasted in the juice. You’ll find all manner of wonderful wines here; orange, natural, funky, raw. 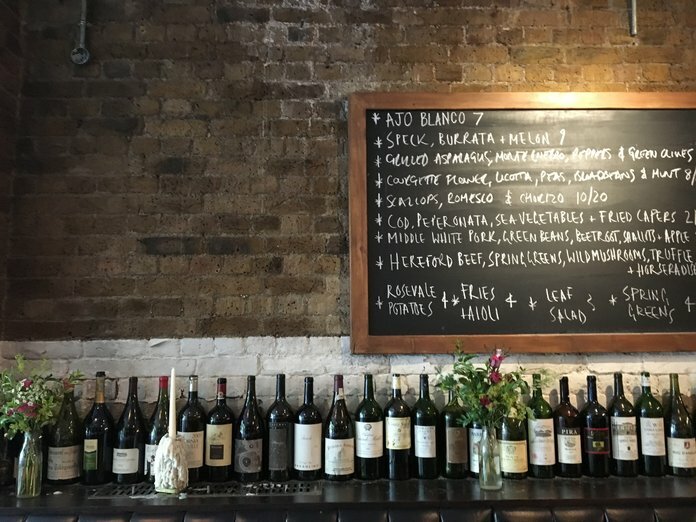 The space reflects the wines in its equally raw setting, brightened up with bold splashes of colour, and chalk boards scrawled with the list also detail maps and notes of interest. In among tried and tested favourites, the seasonal menu may introduce you to a few new ingredients as well as a few new wines! But you can rest assured that you’ll find something you love. Passione Vino is about as far from the old school, stuffy wine bars as you can get with its vibrant, bright appearance, infinitely ‘grammable blue floral wallpaper and unique artworks, all together with the team’s informal and friendly attitude. Another bottle shop/wine bar combo, Passione Vino stocks the very best Italian wines from small producers, and holds an impressive selection of magnums and jeroboams, because big bottles taste better (and add to the fun). Italy has a huge range and depth of styles and you’ll find different bottles popping on different occasions, from Piemonte in the North-West where some of the world’s most alluring reds are born, to the fun and fruity whites of the Mediterranean south and even the volcanic mountains of Etna, you can get to know them all here. 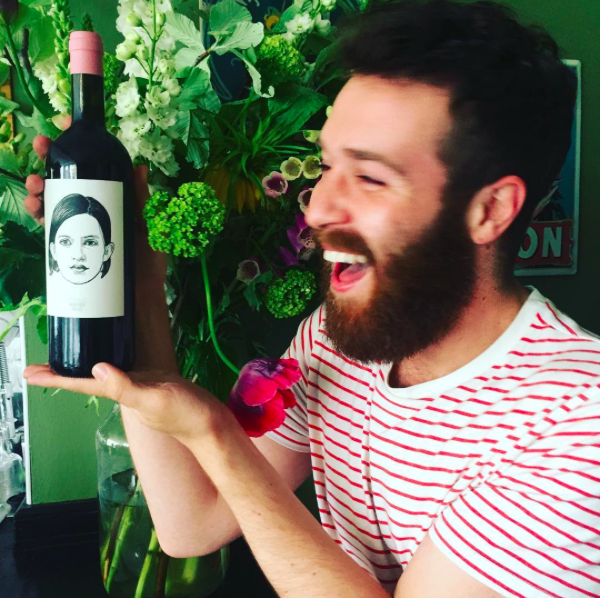 Owner Luca is widely regarded as one of the loveliest chaps in the business, Passione Vino is the small wine bar with a big personality. Oysters and wine have gone together since the beginning of time, and who are we to argue? My favourite thing is that together they make for perfectly acceptable day drinking. So if you find yourself in need of a break from cruising around the boutiques of Shoreditch, this is a perfect pit stop. Inside, you’ll find cosy nooks and crannies in the subtly nautical themed cafe, but the highlight is the beautiful marble bar that runs the length of the room. Prop up the bar and indulge—they have an impressive oyster selection that changes with the seasons, and the staff are adept at perfectly pairing different wines with the different oysters—try refreshingly acidic Picpoul with creamy oysters, slightly sweet Muscadet with salty oysters, and don’t miss the smoked oyster on cracker with a crisp glass of champers or Godello. There are many things to love about this place the location is swish right off Spitalfields market, the long wide marble bar is a great setting for a catch up, and if you want to get involved the team are a wealth of knowledge and can take you on a bit of an adventure. If oysters aren't your thing, don’t worry, you can order from their regular menu. 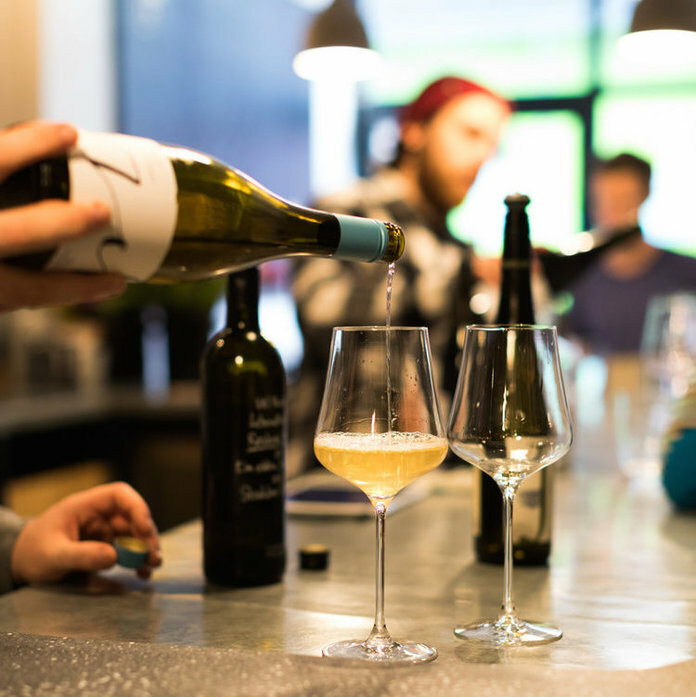 This bottle-shop-come-wine-bar in Dalston deals in new and at times experimental, wines from Europe, with an extra focus on Austrian wines. Never heard of Austrian wines? Somewhat on-trend amongst the oenerati right now, Austria produces seriously drinkable reds from catchy-sounding varieties like Bläufrankisch, and crisp, herbaceous whites from the likes of Grüner Veltliner. I recommend popping in with a handful of mates and letting the team pour you something. You may just find the best wines you never knew, and if nothing else, the pronunciation rolls off the tongue a lot easier after a couple of glasses. ‘Bothy’ is the olden-day term for a Scottish hut or hideout that once provided refuge to its locals, and the Mountgrove Bothy is just the place—a hidden gem in North London, for escaping from the world and catching up with friends over a bottle or two. Open Thursday - Sundays, the list features rare and beautiful wines with small seasonal plates, put together by a young chef on his way to superstardom with his impressive understanding of flavours and dedication to foraged ingredients. The space gets flooded with natural light which is perfect for summer evenings, and it’s dog friendly too, so your pooch can accompany you while you sip and sample your way through the list! A relative newcomer on Hackney Road serving up adventurous small plates in an intimate dining room, great for when you want a sit-down service with time for a proper catch up. 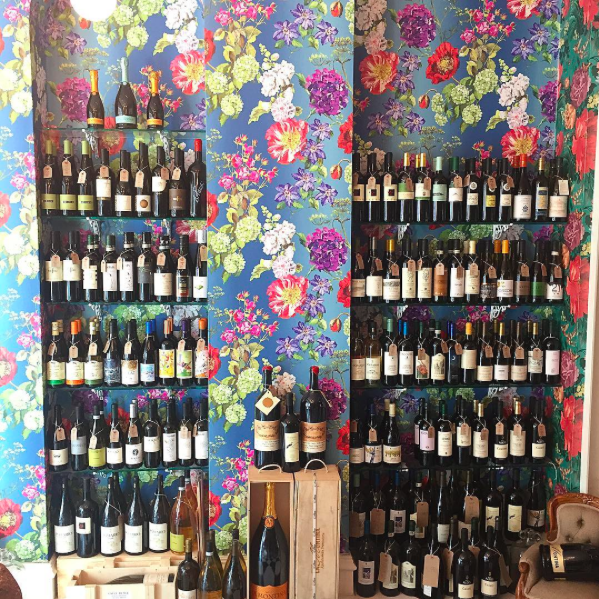 The list errs on the side of the wild and wonderful—expect adventures in unfiltered, low intervention wines from lesser-discovered regions and a lot of stuff you may be unfamiliar with, but the team are stellar and will make recommendations all day. 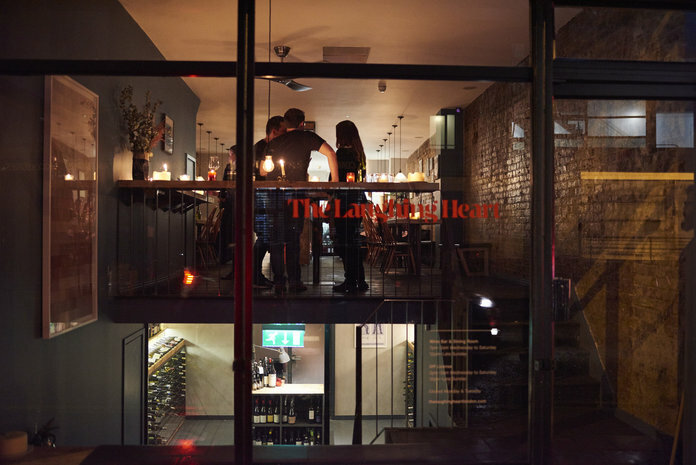 The Laughing Heart is a late night digs and things can get raucous after midnight, as the city’s hospitality folk finish their shifts and pile in for some wining and dining fun of their own. But that only adds to the party spirit, and you may find an even greater selection of unusual bottles open at this time. One of the most beautiful spaces around to sip wine, The Ladder Shed at Chiltern Firehouse is drop dead gorgeous, the double-height shed complete with antique lighting and hanging greenery feels like something from an olde English novel, brought to modern day with pretty pink, gold textiles and marble tables. Although you most certainly can drop serious cash here, it doesn’t have to reach eye-watering amounts. This is a great spot for a glass of bubbles and nibbles from the snack menu—try the crab stuffed donuts, the bacon cornbread with chipotle-mayo butter or pick oysters from the oyster cart in the courtyard—a fun way to kick off an evening before going on to somewhere else. The venue is beautiful, but (heartbreakingly) no photography is allowed. The flip side is that you're forced to be in the moment, and you'll actually pay attention to your squad. Cheers to that. This story originally appeared on InStyle UK.